1. Develop strong bones by taking adequate calcium and vitamin D in diet. 2. Exercise regularly to strengthen bones. 3. Elderly people must be careful as older people are more prone to fractures. 4. Preexisting diseases must be assessed and treated. 5. Women should be careful as they are more prone to osteoporosis. Osteoporosis is a disease that weakens the bones due to loss of bone tissue, mostly as a result of thinning of the bones. 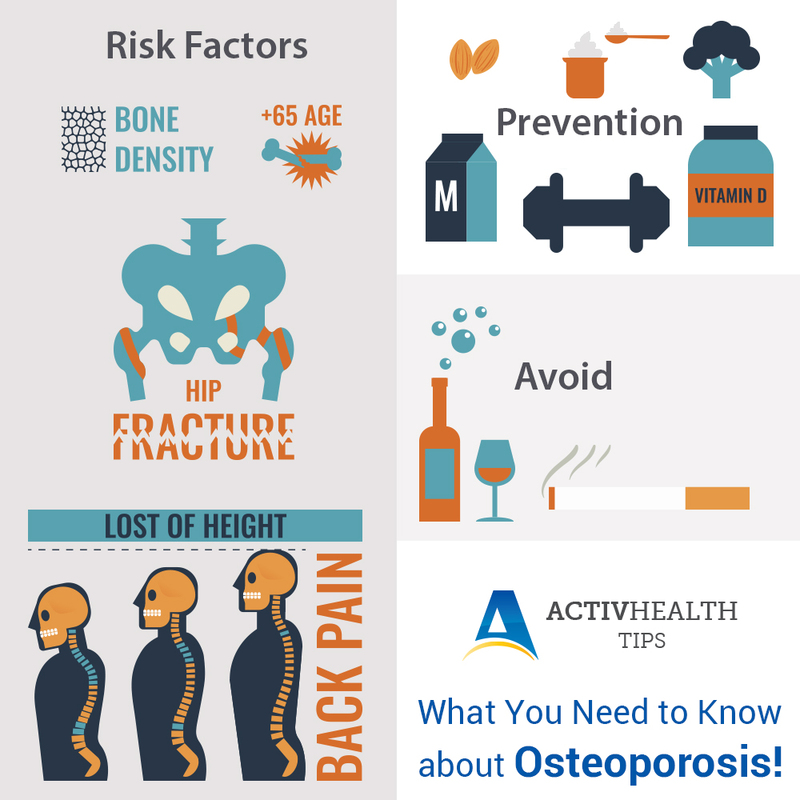 Osteoporosis reduces the density and quality of the bones. This disease is due to the deficiency of calcium or vitamin D. It makes bones fragile and increases the risk of unexpected fractures. This is a progressive disease which develops silently over a period of time. Smoking and excess consumption of alcohol. Long term use of medicines like steroids. The good news for patients with this disease is that, there are many steps that can help to prevent, diagnose and treat osteoporosis. An integrated approach of lifestyle changes and appropriate medicine can help to treat this disease. Based on the bone density test, treatment is given. In most of the case of osteoporosis, a class of drugs which prevents loss of bone mass is used as a treatment. Consult doctor if prescribed steroids long term. Associated diseases should be assessed regularly.